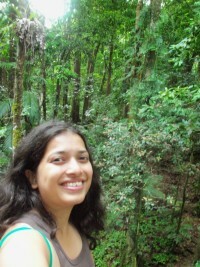 Pooja is interested in landscape connectivity and human- wildlife interactions in central India. She previously worked on a community- based wildlife conservation model in and around the Pench Tiger Reserve. She aims to take her work in this region further through her doctoral research that she hopes may benefit local communities and wildlife. Benjamin’s research interests relate to the impacts of agriculture on ecosystem functions and food security in Eastern and Southern Africa. In particular, he studies how agricultural land cover change alters the water cycle and landscape-level hydrological processes. Sarika is drawn to issues of social and ecological justice. She is interested in answering questions related to human livelihoods and the conservation of endangered species in places outside protected areas. In habitat corridors within the central Indian highlands landscape, her aim is to understand spatial dynamics of resource use by humans and wildlife. Vijay’s research interests lie at the intersection of conservation biology, spatial ecology and landscape genetics. He started his career working on molecular phylogenetics of amphibians and proceeded to get a taste of what animal behavior entails. 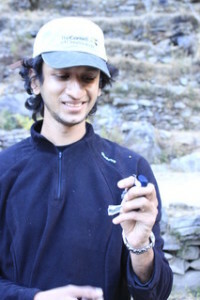 He fell in love with the field of spatial ecology during his Masters course in conservation biology and as a PhD student, he will be working towards integrating his expertise in genetics and spatial ecology to understand issues of habitat fragmentation and loss, functional connectivity and genetic diversity. Kyle’s interests lie at the nexus of food, water, and climate change. Combining crop models, climate projections, and agricultural census data, his work looks to identify strategies to increase nutrition, climate resilience, and water sustainability. He also explores the potential tradeoffs associated with large-scale land investments in the developing world and their implications for food security, rural livelihoods, and climate adaptation. Chris is a postdoctoral research scientist in Columbia University’s Department of Ecology, Evolution, and Environmental Biology. His research focuses on the role of anthropogenic impacts to the environment. 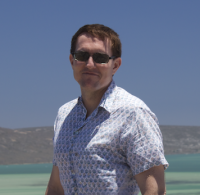 He is particularly interested in developing spatial models to understand coupled human and natural systems. He currently uses remote sensing, spatial analyses, and various statistical models to study forest quality in Central India. He is also using geospatial models to better understand micro-climate regulation in urban landscapes. 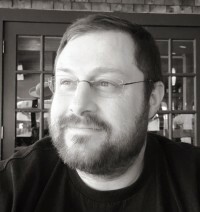 Chris graduated with a Ph.D. in Geography from Arizona State University in 2015 and held a two-year postdoctoral fellowship in the Department of Geography at Dartmouth College before coming to Columbia. 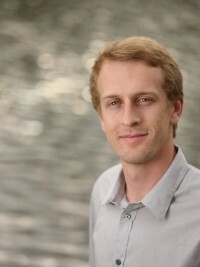 Alex’ research focuses on the links between energy, emissions, air quality, and human health outcomes in northern India. Through this research, she seeks to quantify contributions from various anthropogenic emissions sectors to ambient pollution concentrations and human health outcomes in the region and determine potential sectors for future mitigation. Alex received her Ph.D. in Environment and Resources and also holds degrees in Atmospheric and Oceanic Sciences (B.S., M.S.) and a certificate in Energy Analysis and Policy, all from the University of Wisconsin—Madison. 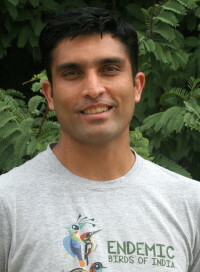 Anand is fascinated by different kinds of natural ecosystems and cares deeply about their conservation. His research focuses on tropical forest ecology, with particular emphasis on understanding how anthropogenic disturbances such as forest fragmentation affect biodiversity, ecological processes and ecosystem services. He also works with restoration practitioners to examine the factors governing ecological recovery in forests that have been restored. His current project asks whether tree diversity promotes stability of terrestrial carbon sequestration across a range of tropical forests and plantations, and he addresses this question using a combination of field surveys and time-series satellite data analysis. Sebastian is generally interested in using a trait-based approach to understand and predict how changes in fish biodiversity might influence ecosystem services in the Amazonian watersheds. Fishes are often times the primary protein source for many amazonian people and a developing project is to investigate how multiple services associated with ecosystem properties (e.g., biogeochemisty) and human well-being (e.g., protein and micronutrient availability) derived from fishes may be affected by land-use policy and dam development. He is also particularly interested in making science relevant to policy, especially for the goal of reconciling conservation and development. Sebastian’s primary advisor is Shahid Naeem in the department of E3B. Amrita carried out her PhD on the resettlement of people from national parks. 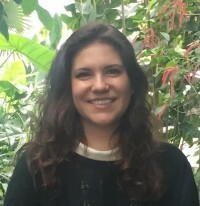 Her research focuses on human well-being, livelihood strategies and impacts on natural resources once forest dwellers have relocated outside protected areas. 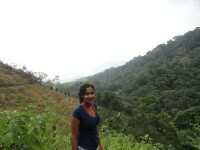 She explores patterns of forest resource use and food security at the landscape level. Her study is based around Kanha national park in the central Indian highlands. 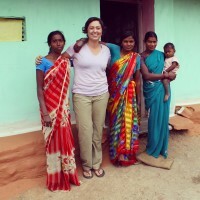 Her research was recently featured on the Earth Institute blog and she’s part of the Network for Conserving Central India.